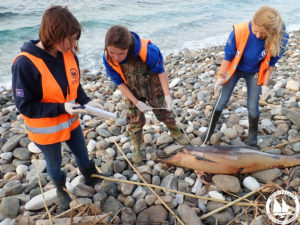 Within just a few weeks, at least 15 dead dolphins have been recorded in the North Aegean. 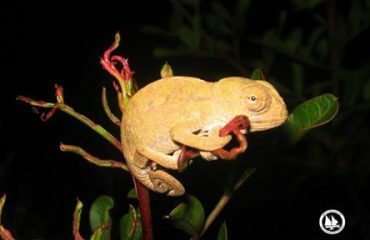 Seven of which have been found on the northern coast of Samos Island, having been brought on shore by north-western winds from the central and northern-eastern Aegean regions. Three of these strandings were discovered in only the past few days. This alarming increase in the number of dolphins found dead, with no indication of intentional killing or serious illness, raises questions about the cause of death of these protected mammals. The increase coincides temporally and spatially with the extensive exercises of the Turkish Navy that have taken place in the last few weeks in the Aegean. Therefore, though time is needed to confirm this link, this unprecedented pressure on marine species and the surrounding ecosystem cannot be overlooked as a cause. Considering that the coastline in this area is thousands of kilometres in length and largely inaccessible, the number of dead marine mammals recorded can be presumed as only a small percentage of the actual number. 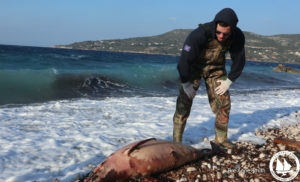 The dead dolphins found were only those located close to beaches or residential areas, whilst the continuing adverse weather conditions prevailing in the Aegean in recent weeks has prevented the boats of Archipelagos Institute from conducting more detailed open sea monitoring. According to the Turkish Navy announcements, over 100 Turkish warships took part in military exercises in the Aegean during the previous weeks and it was recently announced that there will be a new round of extended exercises upcoming. Based on these announcements this military activity comprises of shots being fired using real ammunition as well as continuous sonar emissions, causing significant underwater noise pollution. The effects of explosions at sea are dramatic and even the smallest explosion can cause the death of millions of organisms. Numerous international scientific studies have shown that noise pollution, at the specific frequencies of naval sonar, can have disastrous implications for marine mammals as well as effecting fish and even zooplankton. 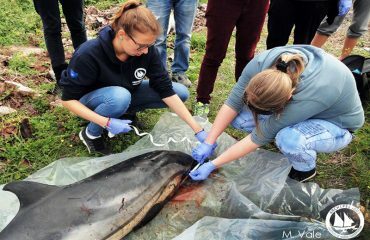 As a result of this conclusion, NATO, the US Navy, Hellenic Navy General Staff and numerous naval nations have issued guidelines containing rigorous measures to mitigate the effects on cetaceans during military exercises. Archipelagos’ aim is not to capitalise on this for nationalistic purposes. We must acknowledge that the uncontrolled exercises of warships in the Aegean, from wherever they may come, using real ammunition and sonar of specific harmful frequencies, are a major threat to marine life. Given that we have seen this problem growing in recent years and after a particularly devastating start to 2019, it must be made a priority to seek an effective management strategy. 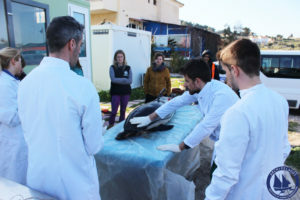 Archipelagos Institute of Marine Conservation has been following the problems caused by the uncontrolled military exercises in the Aegean for decades. 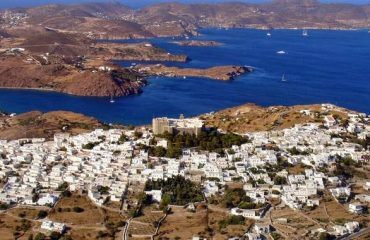 In the past, we have been forced to intervene to stop military drills being conducted by the Greek army in protected islets. Read more here. Without wishing to act as an advocate of the Hellenic Navy, we must acknowledge that even though their exercises have led to a heavy environmental footprint, in recent years they have made major attempts to mitigate their impact. These include stopping bottom bombs, reducing the use of sonar and monitoring cetacean activity before using sonar, banning shots of live ammunition in protected areas and improving their management of shipwrecks and submarines. 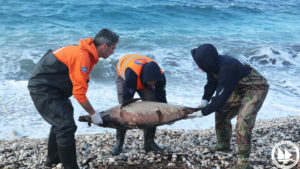 It is promising to see this change in attitude and practice, something we urgently need to extend to the rest of the Greek armed forces whose activity continues to leave a heavy environmental footprint. Our goal should not be simply to secure national sovereignty but also to safeguard our national integrity. During times of peace, it is not conducive to destroy our natural resources intentionally or unintentionally with military exercises. The unprecedented pressure exerted in recent weeks on the Aegean ecosystem during Turkish military exercises adds to the many other anthropogenic pressures felt by our ecosystem: continued increase in shipping routes, the hazardous materials ships carry without operational mechanisms to deal with accidents, the high density of people living around the Aegean coast without necessary waste management infrastructure, and intense and unmanaged fishing with practices that should never have been allowed in the Aegean. The cumulative impact of the above pressures goes beyond what the Aegean ecosystem can bare – an ecosystem vital to the human population that lives and depends on it. 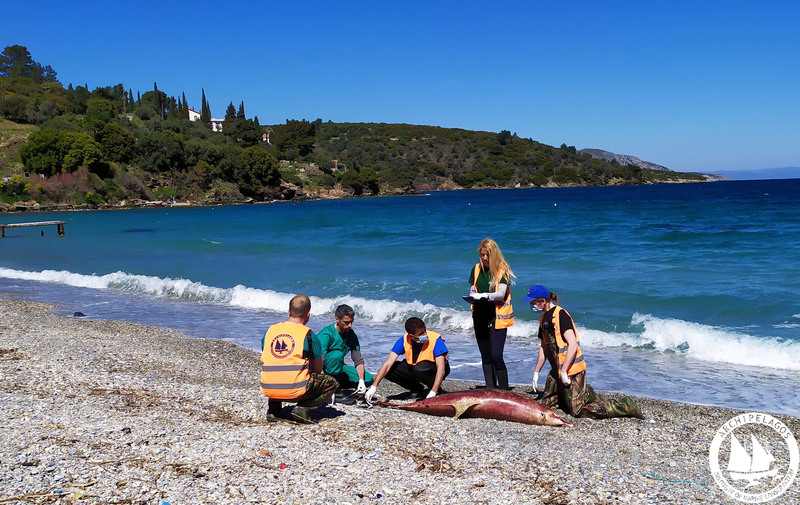 The recent worrying increase in the number of dolphins killed in the Aegean, although not yet attributable to just one of the above factors, should be a matter of great concern to us. Disregarding nationalism, and with a goal of finding and implementing solutions to mutual problems, the effective protection of the Aegean as an ecosystem must be an important part of the Greek-Turkish dialogue.